Cycling Bundle with an ELEMNT BOLT Bike Computer, TICKR Heart Rate Monitor, RPM Speed Sensor, and RPM Cadence Sensor. 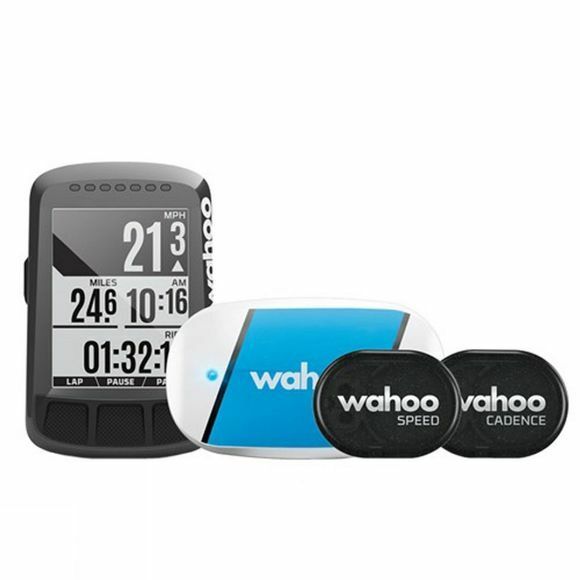 It's super easy to set-up and customise with the free companion app and features dual-band technology, wireless connection & uploads, pre-loaded global maps and routes, and so much more. The TICKR heart rate monitor, RPM Speed sensor and RPM Cadence sensor pair seamlessly with the ELEMNT, so that you can get live and accurate performance metrics.